Annette Bloch Co-Chairs Cancer Survivorship Effort. Annette Bloch co-founder of the R. A. Bloch Cancer Foundation, is helping lead this year’s drive to help Kansas City breast cancer survivors after treatment. 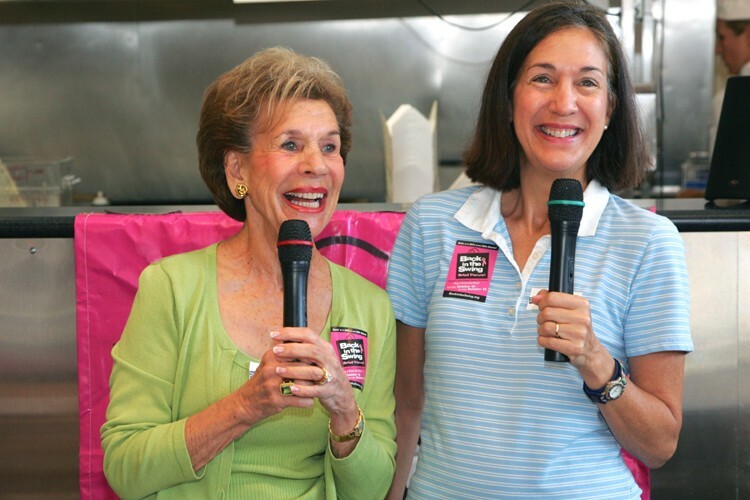 Breast cancer survivor Annette Bloch and her daughter, Linda Bloch Lyon, honorary co-chairs for Back in the Swing® Retail Therapy! helped launch the campaign during a kick-off breakfast at Dean and Deluca’s in Leawood, KS.